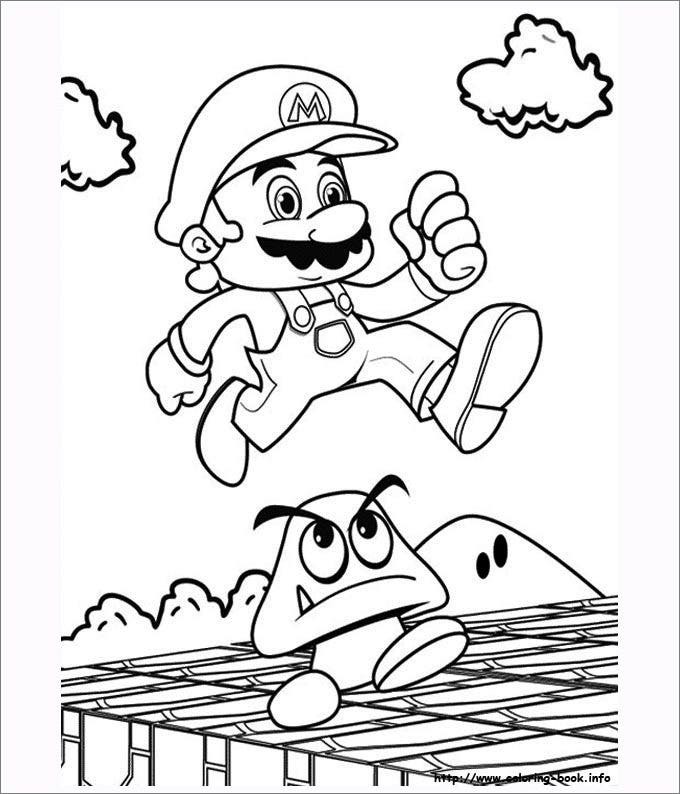 For a person who has grown up during the late Nineties, not knowing about Mario game is not possible and even in today’s world the game is very significant, giving rise to ardent fans who would love to use the mario brothers coloring pages. You may also see Mickey Mouse Shape Templates. 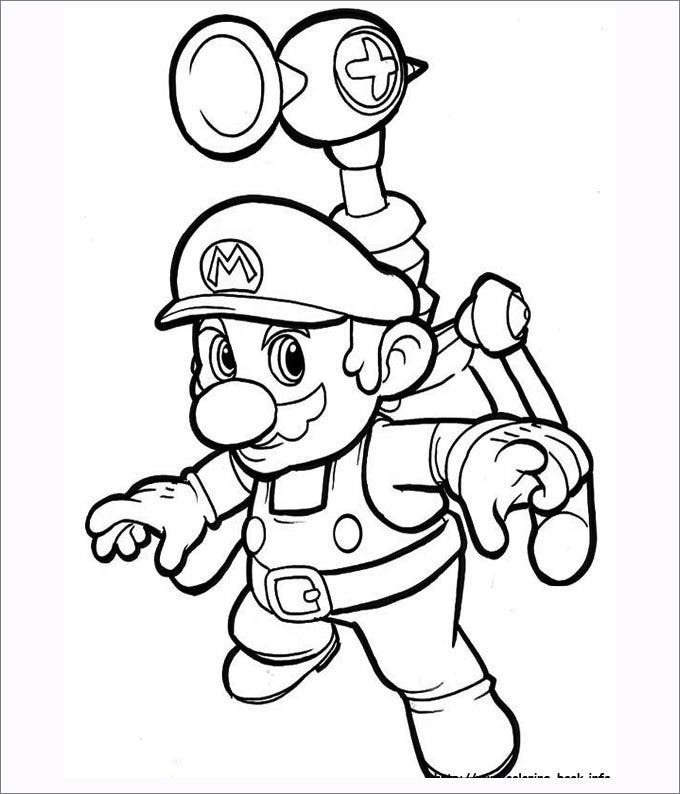 Using the super Mario coloring pages to print which are available for free and premium download, you can get your favorite video game character on paper and color it with your own imagination or use it as a label or top cover of many things. You may also see Snowman Templates. 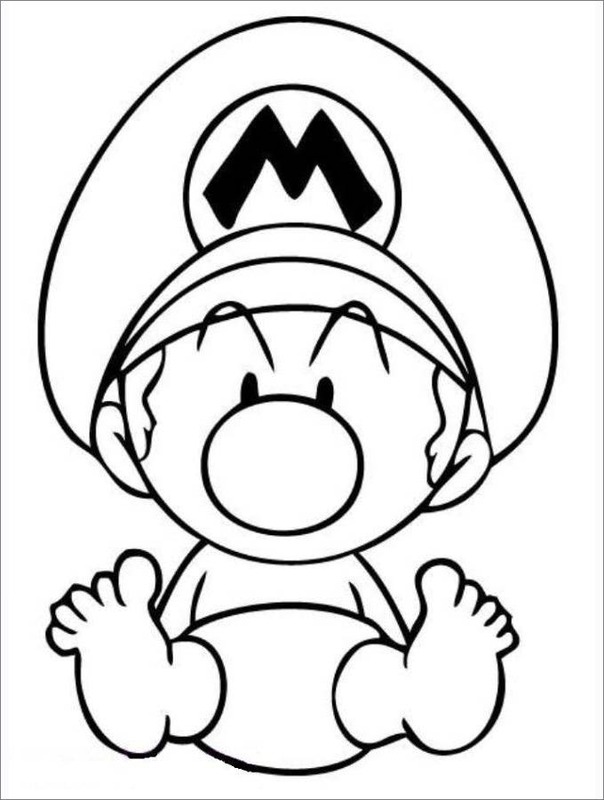 This adorable Mario template is one that portrays the baby version of your beloved game character from the 90s. This template can be customized as per preference. 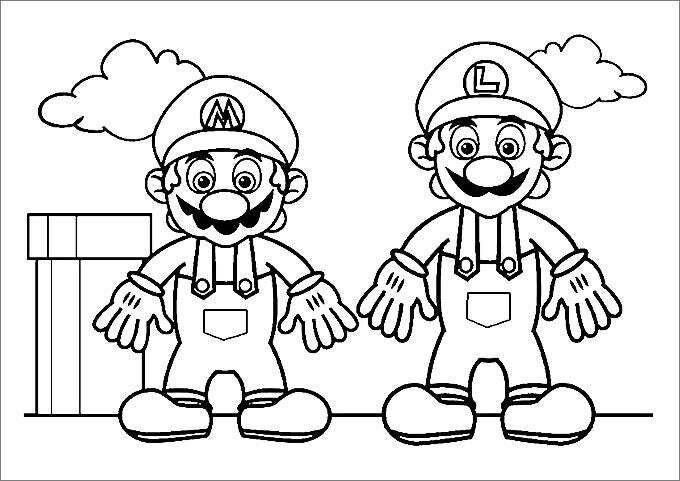 This template is the sketch of the infamous brothers, Mario Mario and Luigi Mario. 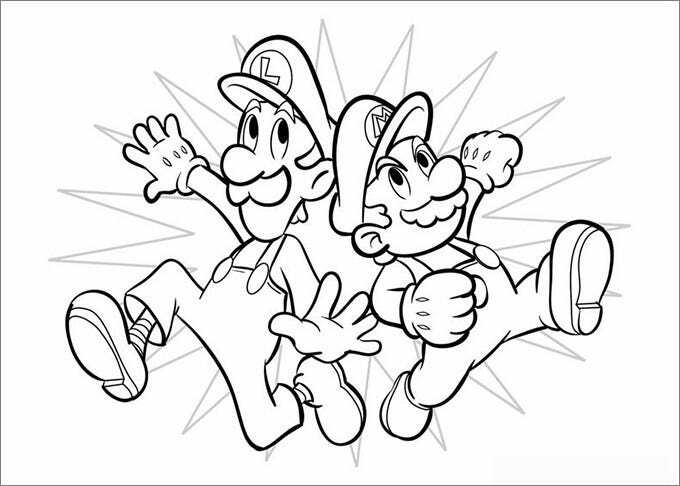 The template portrays the significance of the Super Bros Mario games in our lives and how influential their bond can be. 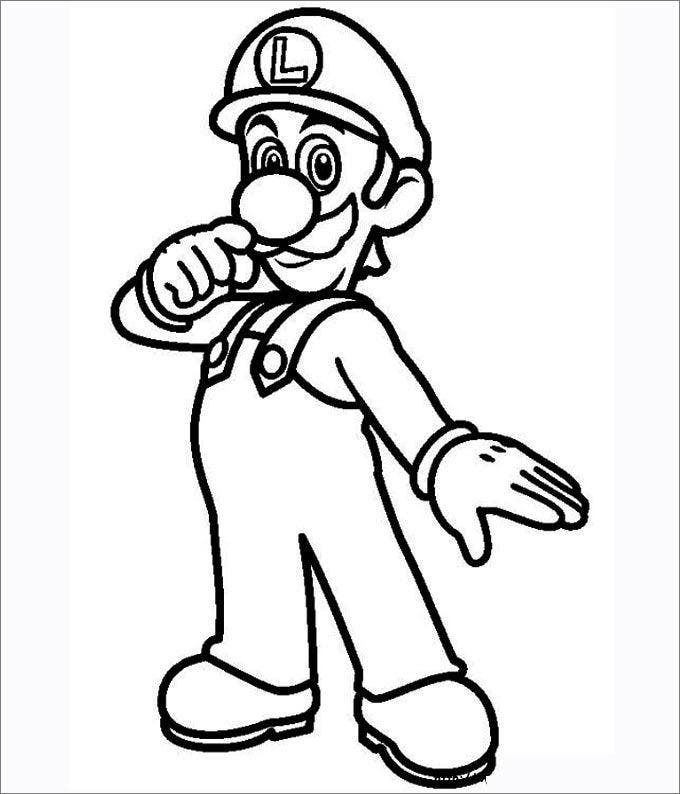 This template portrays Super Mario in action. 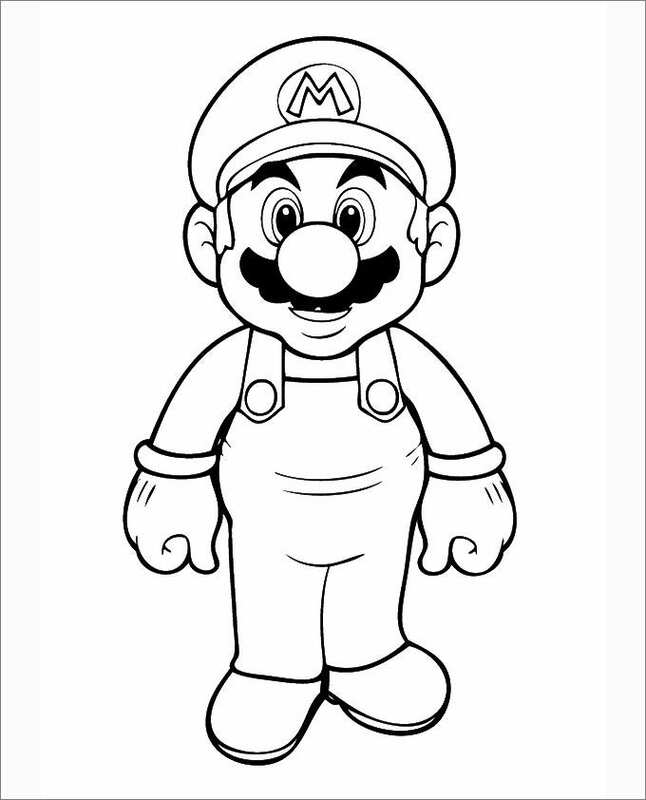 These printable templates can then be coloured in and thus, you can in a way, have yourself your very own version of Super Mario. 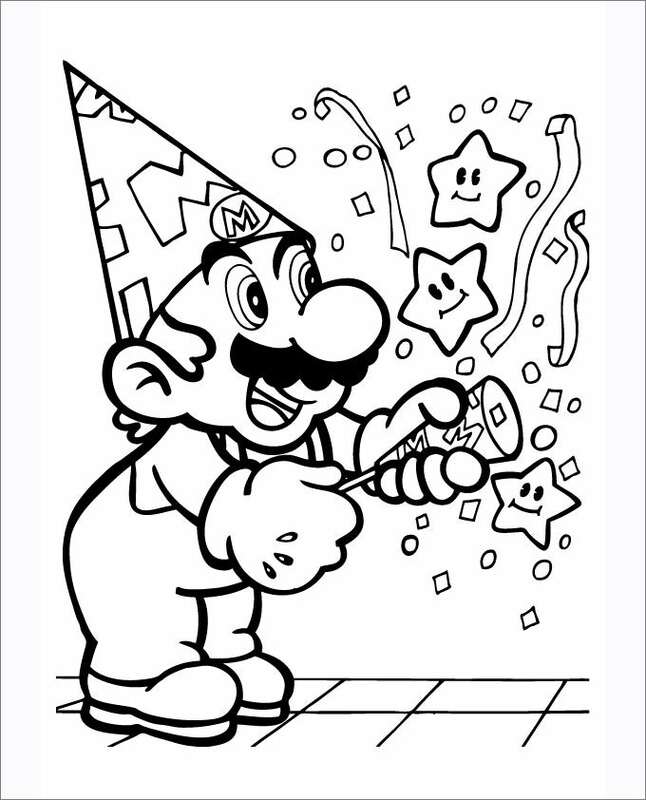 This is a sketch of Mario celebrating with streamers. A great decorative for any party or festivity, the template can be digitally filled in to your preference and you can have a large photocopy printed out. Your visitors would certainly be thrilled by all of the fond memories of the game. 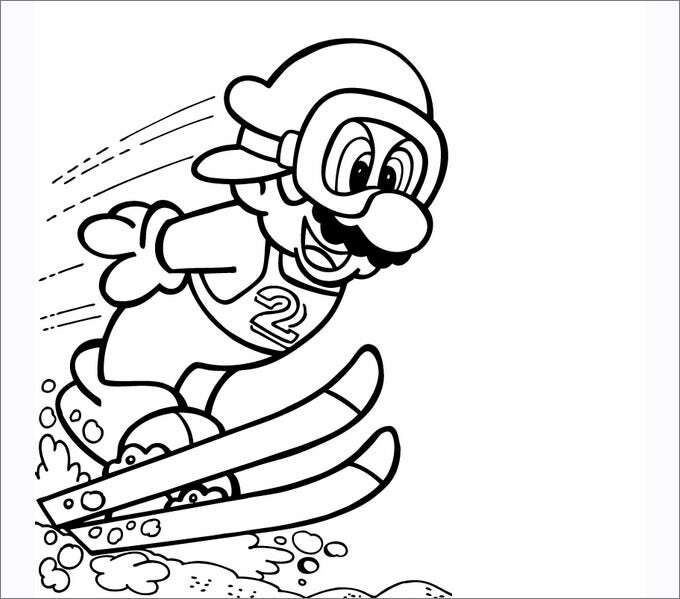 The template displays Mario rejoicing in having achieved his signature power-up in the game. 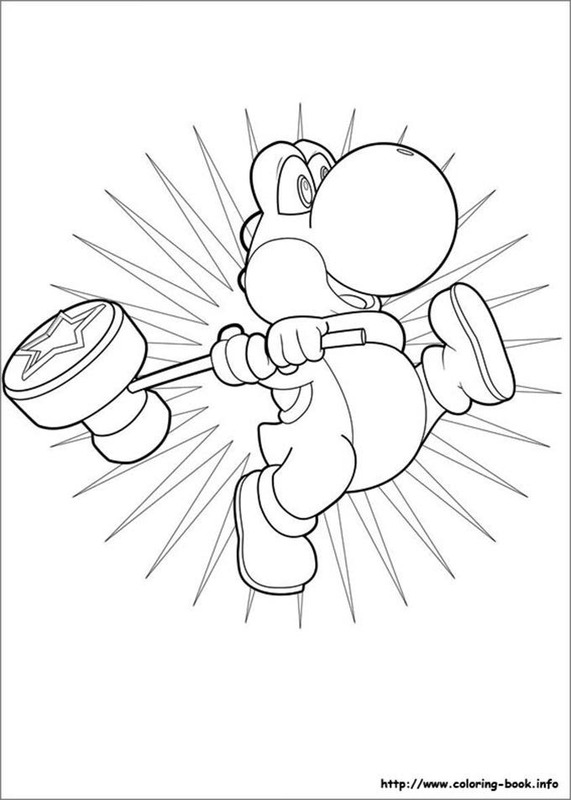 As this power-up signifies different specifics when coloured differently, you can have copies of this template printed out and have all of the types of the power-up. 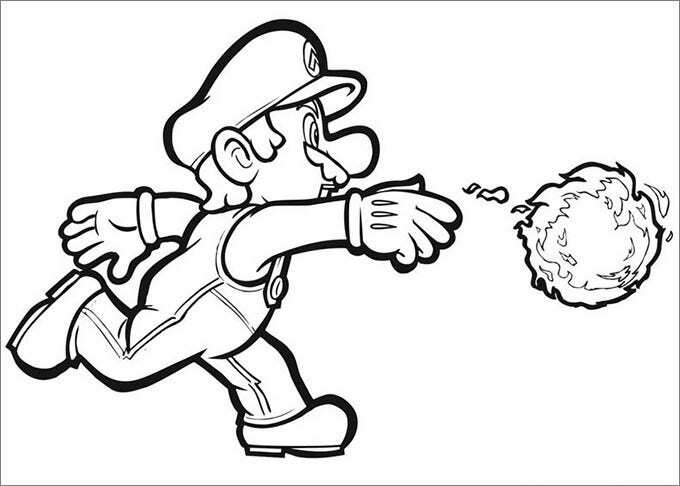 This template portrays Mario in action and throwing a fire-ball. 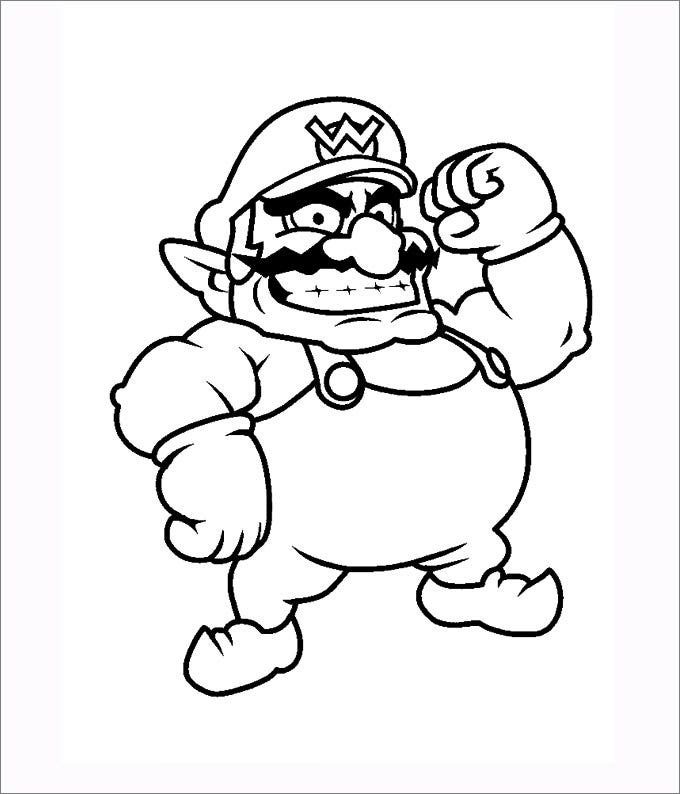 The template can be brought to its potential by editing in to bring out a 3D effect to further enhance the sketch. 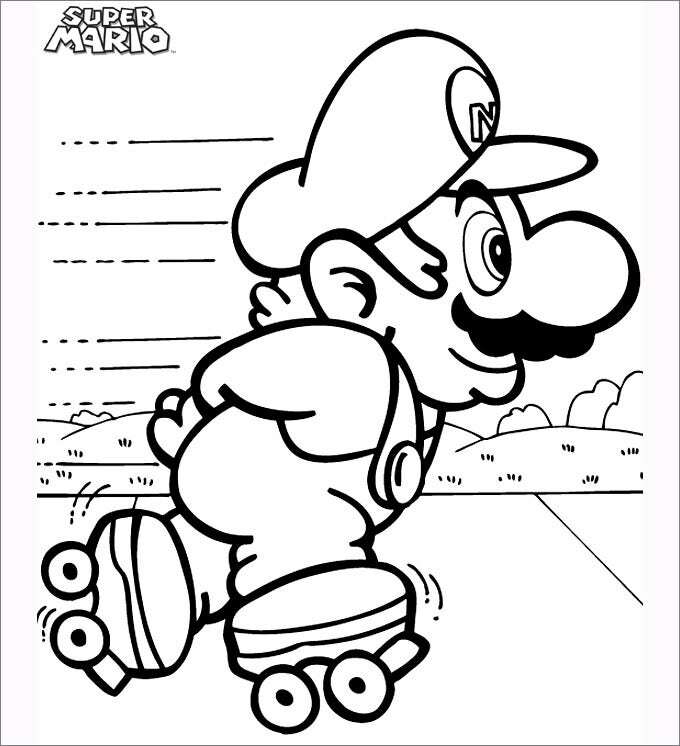 The template showcases Mario skating around in the game. 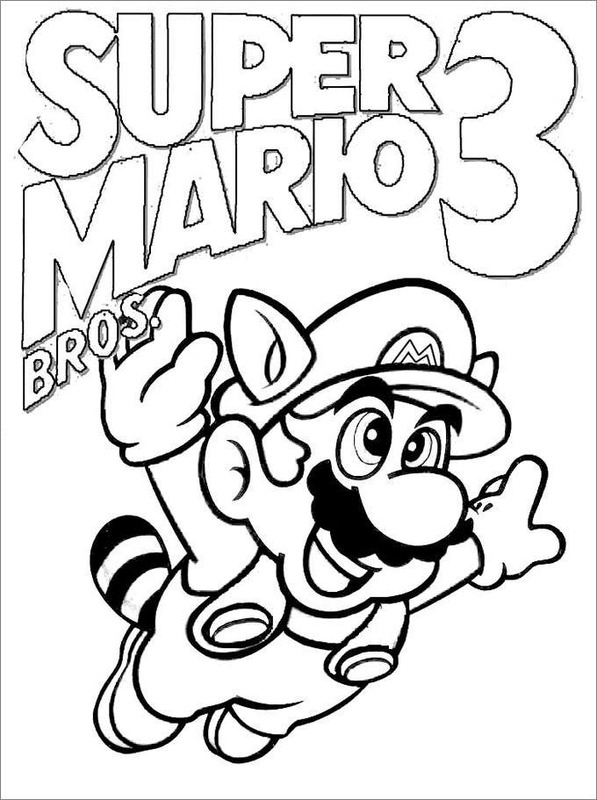 Coloring in these would definitely be fun and an enjoyable experience for children and adults as well. 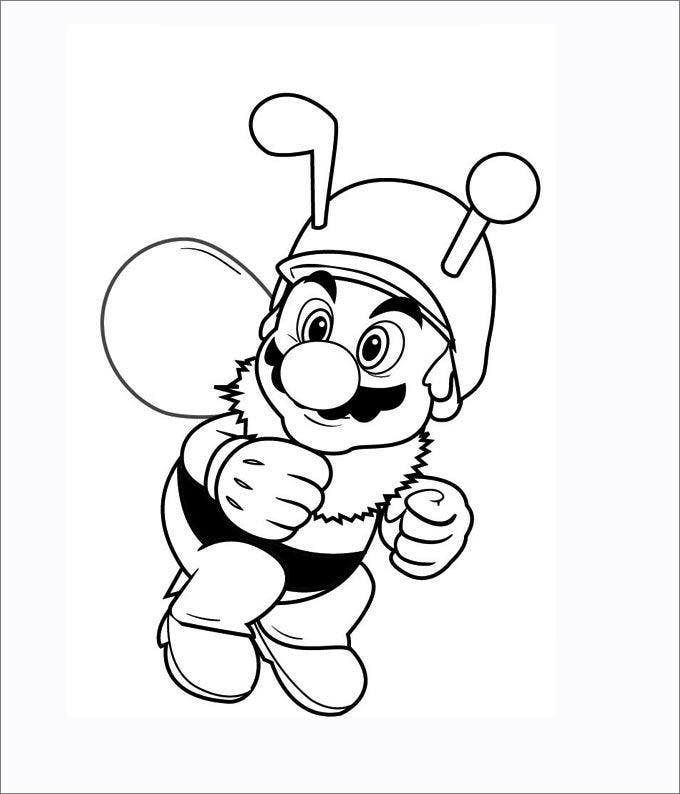 The template displays “Bee Mario”, a power-up obtained when Mario obtains a bee mushroom in the Super Mario Galaxy game. 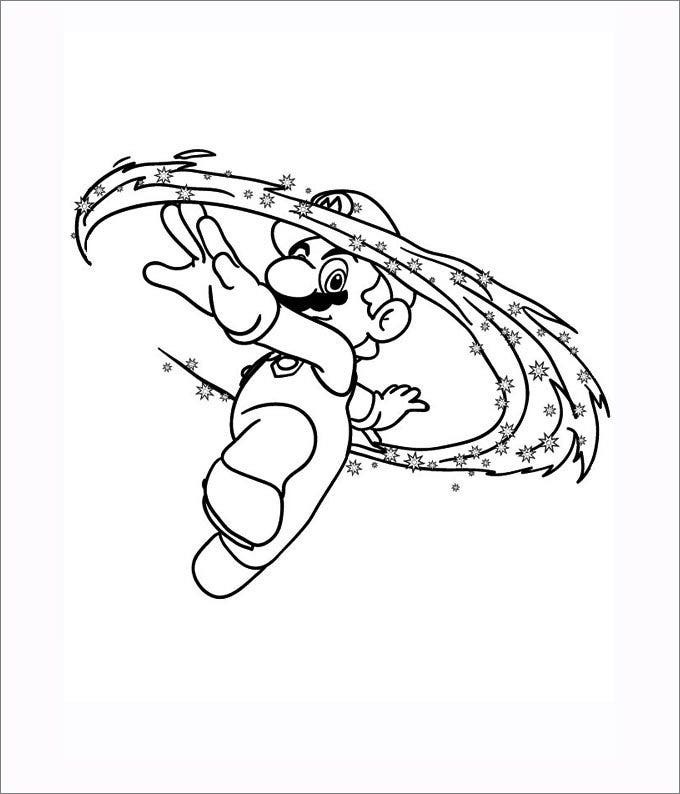 This is a sketch of Mario ice skating around in the Super Mario 3D World. Put your creativity to the test and design the sketch as to how you would want to view it. Show these off to your peers and gloat in the glory. 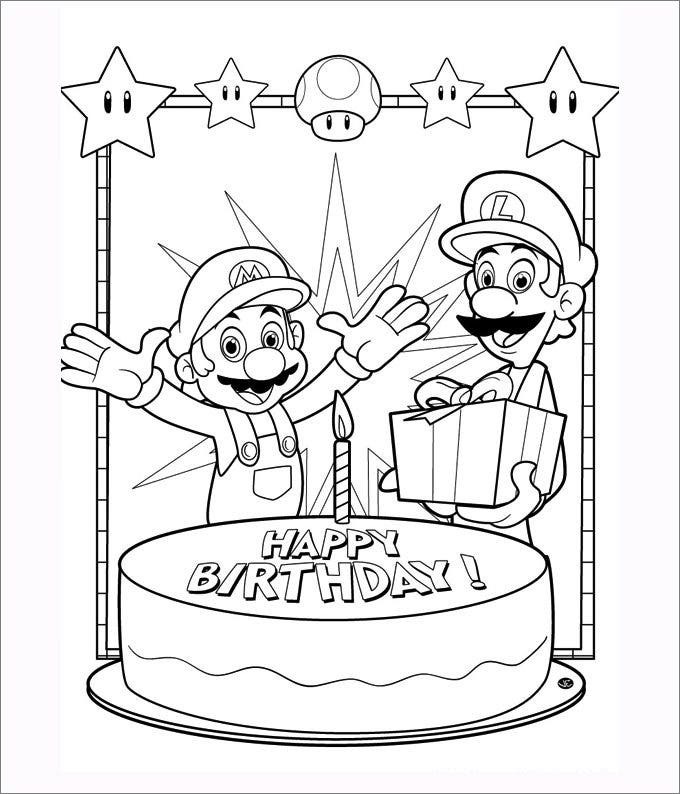 The template is a sketch of the Mario Bros wishing you a happy birthday. 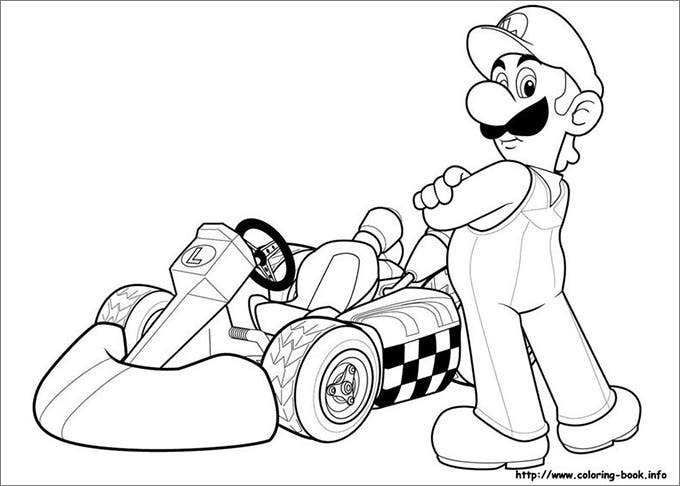 This would definitely be a fun gig at birthday parties that are Mario themed. 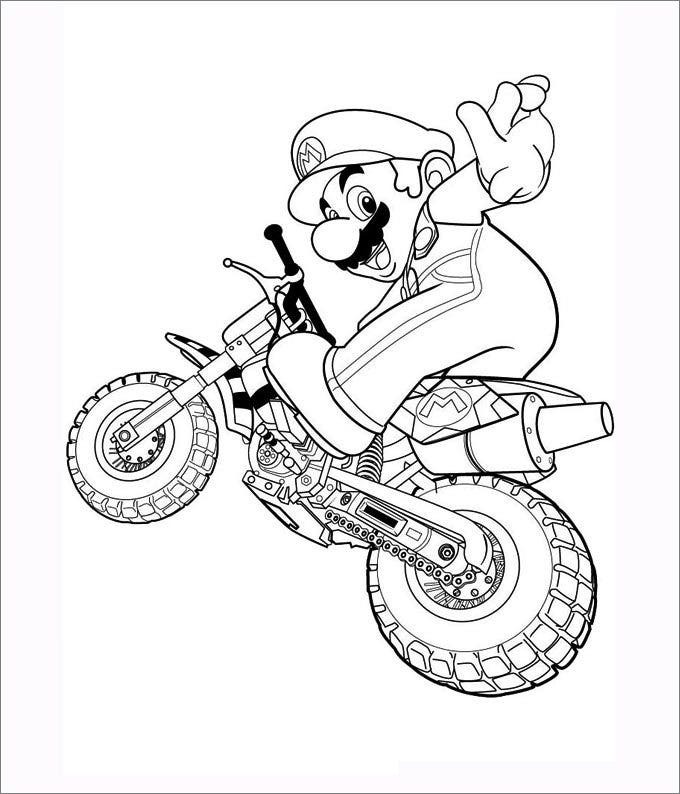 This is a sketch of Mario jumping over a mushroom. 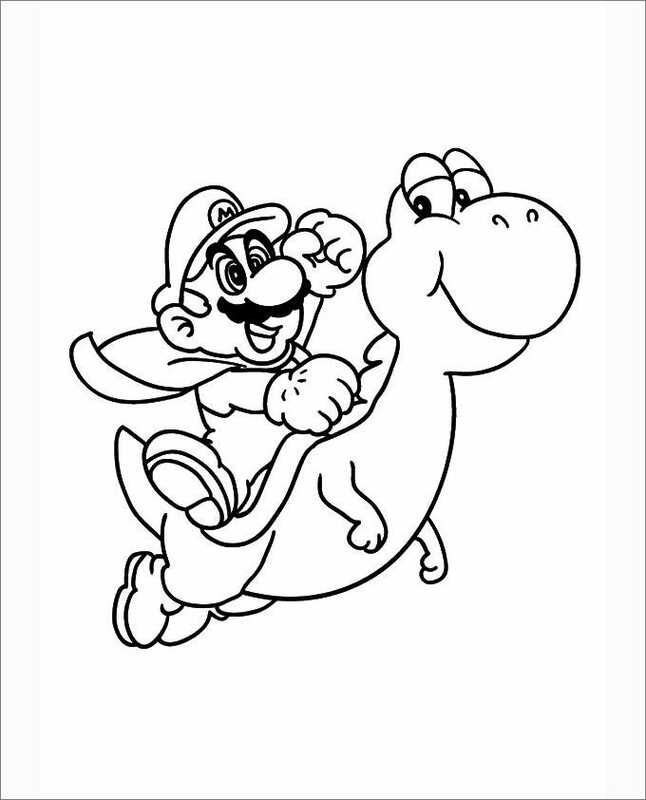 Have fun with this template by adding effects to the background and better personalize the sketch. 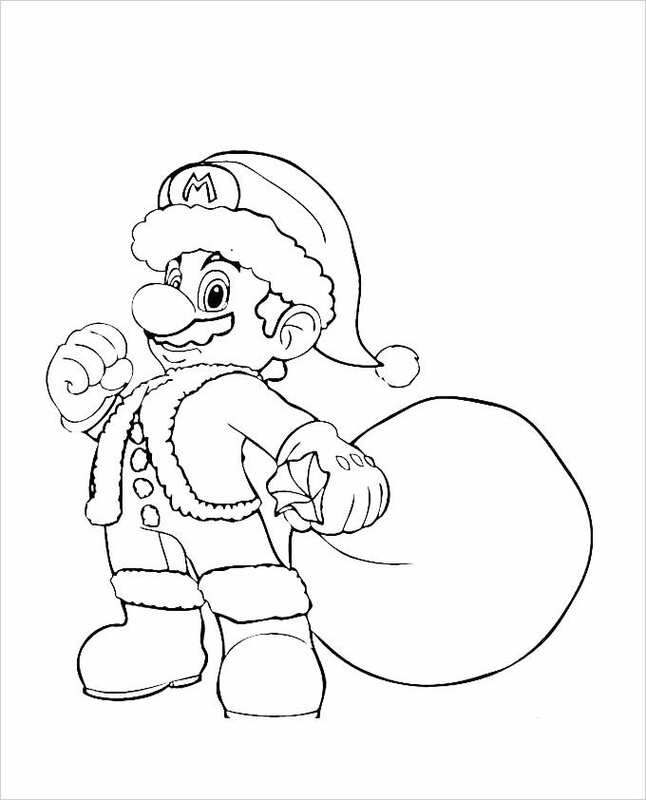 A sketch of Mario dressed as Santa Claus, this template is a definite must have for christmas decorations for the true lovers of the game. 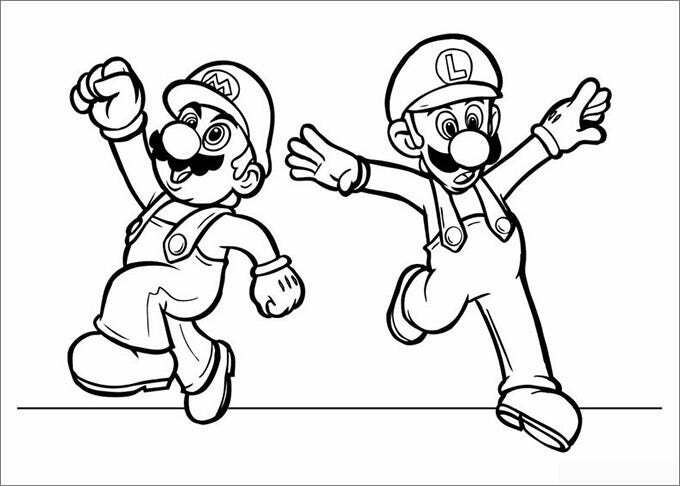 Coloring in these as a group of Mario lovers on Christmas eve would be a fun way to spend the festival. 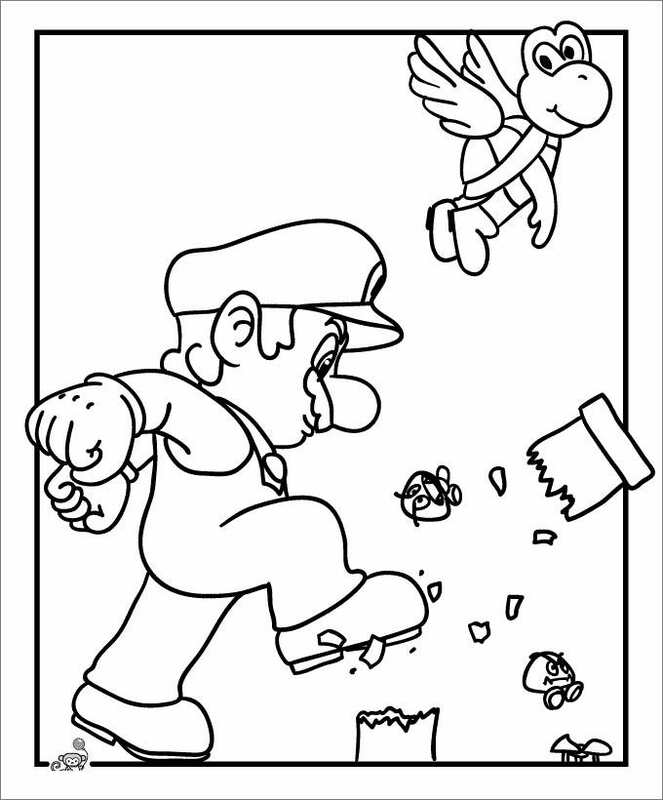 Colour in this template that displays Mario breaking blocks. The template can be easily downloaded and printed out. 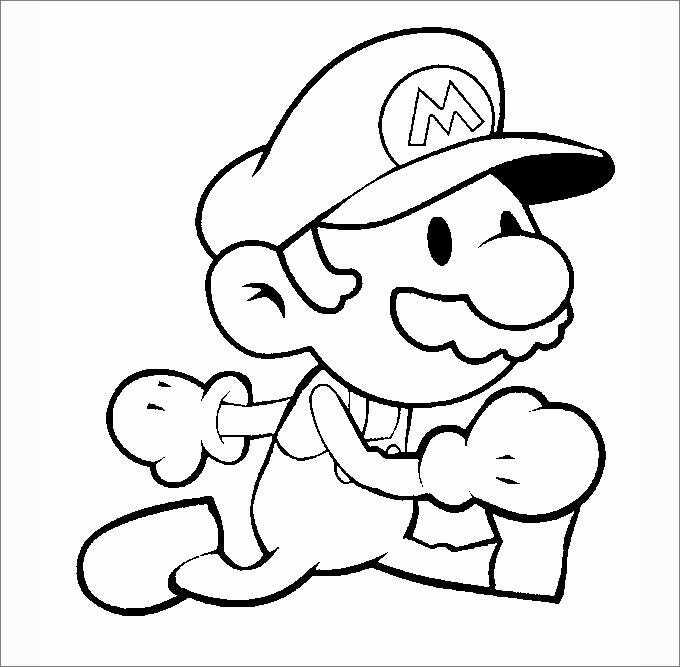 This is a sketch of Mario haven acquired a power up. The template can be coloured in by preference and children would be loved to be exposed with the interesting stage plays the game consists of, thus indulging them to play the game. 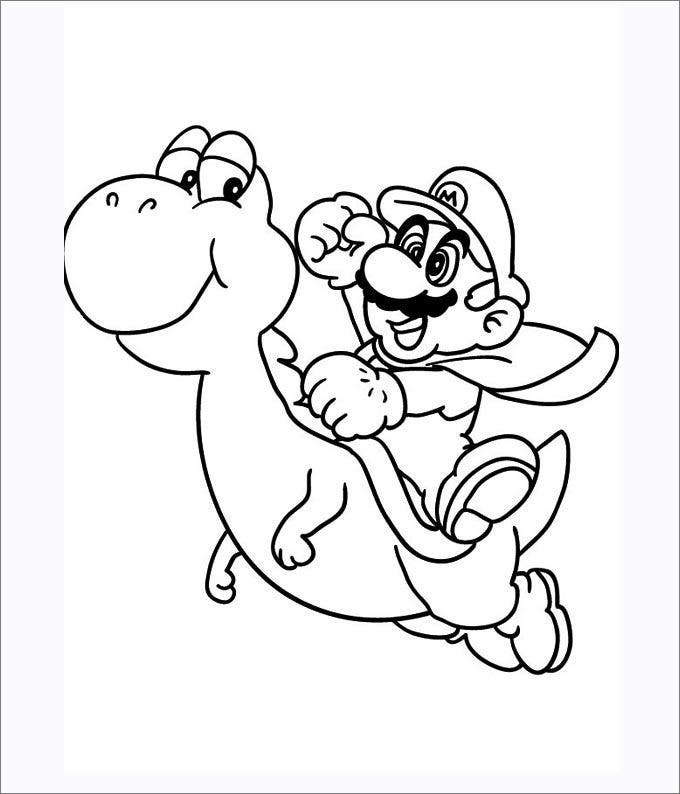 The template is a display of Mario flying away on the infamous Koopa Paratroopa. 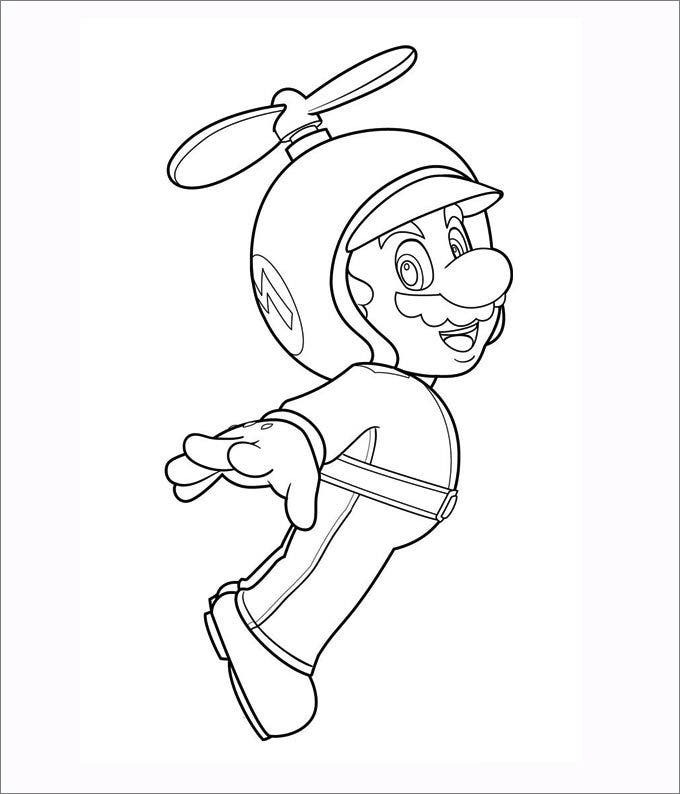 As the flying turtle comes in 2 varieties, you can colour-in red in one copy and green in the other. 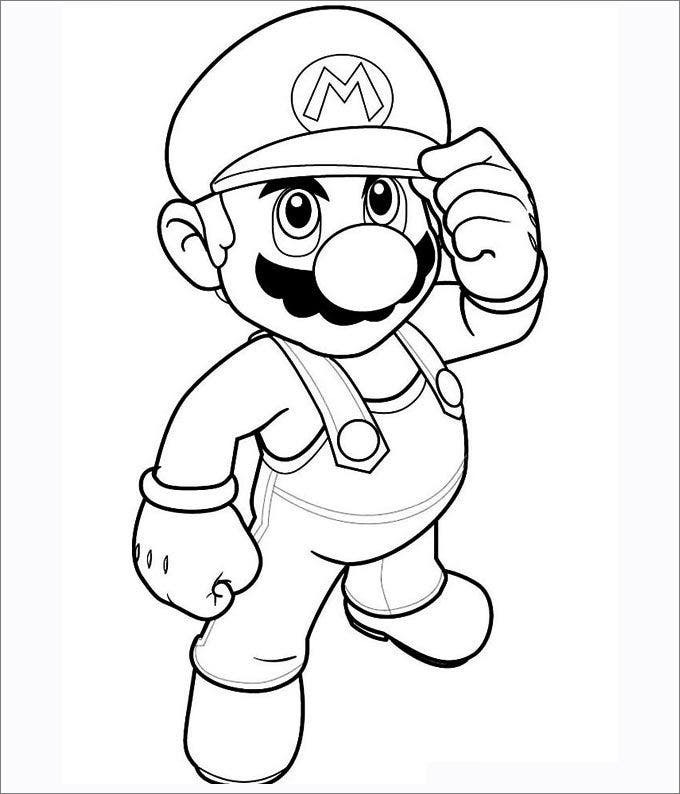 You can download best Mario coloring page for kids simply by selecting various templates and directly printing them or making your own changes and edits in the templates, filling various colors and then printing them for your kids. 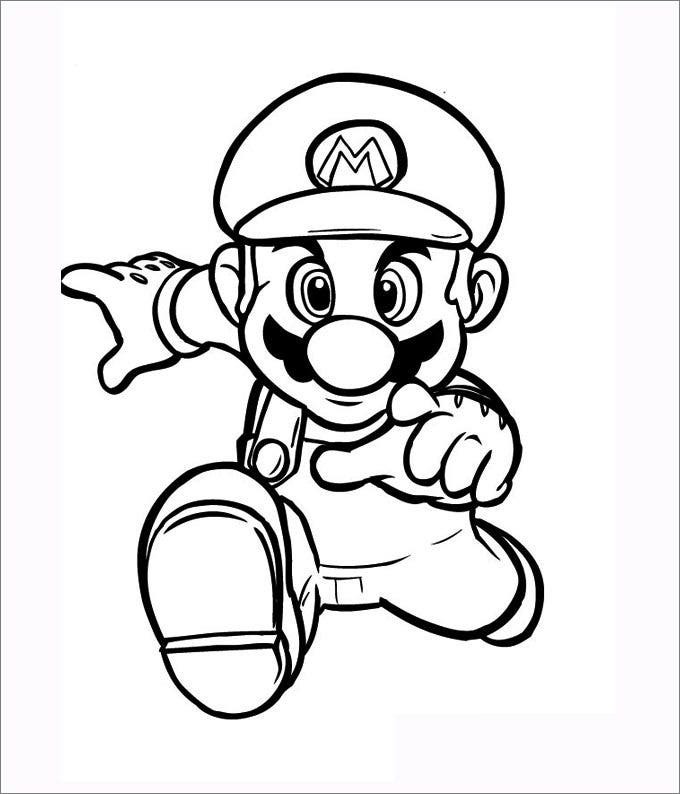 ( mario bros coloring pages, free mario coloring pages ) Or you can also add various effects to the on line templates like colors, textures, gradients and other things which are normally absent and then take prints to make the drawing more attractive and unique for your kids’ use. 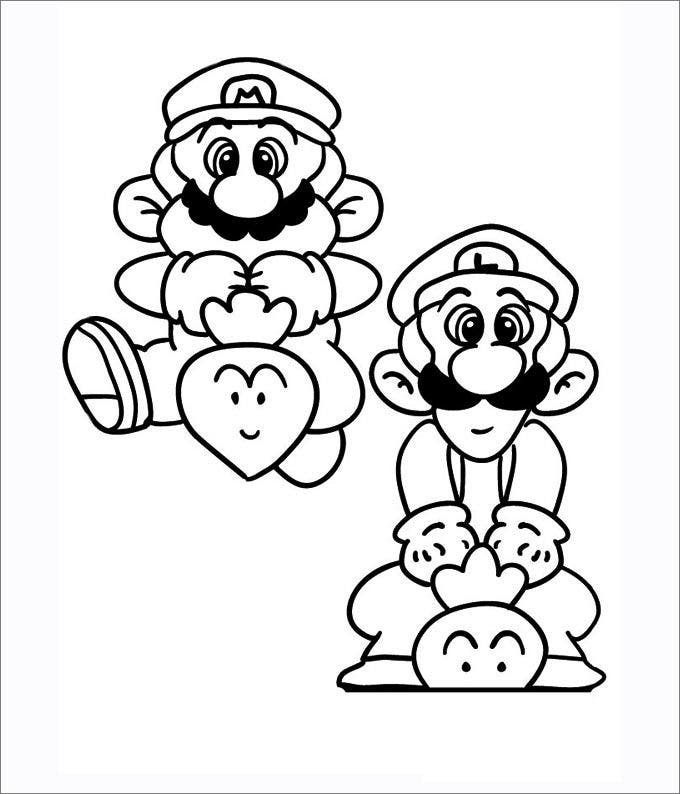 You can also use the paid printable Mario coloring pages online and add your own effects and pictures in the templates to make them more unique and then print them for your project or presentation. Or you can also choose to take print outs and use it for various purposes like bookmarks, stickers, reminder pages and the like. You may also see Spiderman Colouring Pages. If you have any DMCA issues on this post, please contact us!